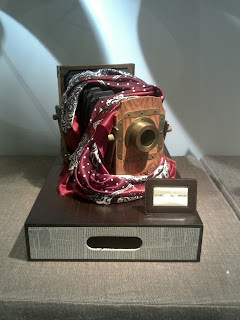 Looking at the properties and styling of Massimo Dutti store at Senayan City is like looking back to the old glory days of adventurer. 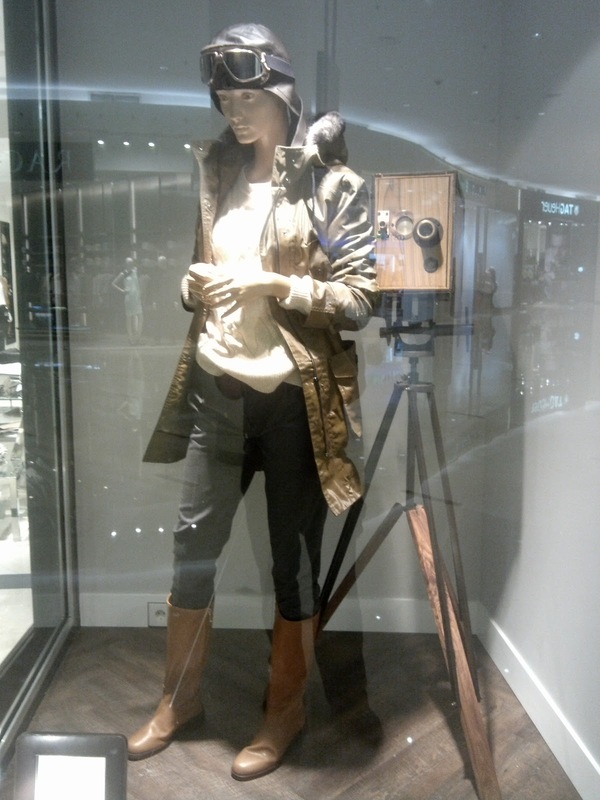 One female mannequin looks like a World War bomber with a pilot hat in her head, long coat, plus a boot. 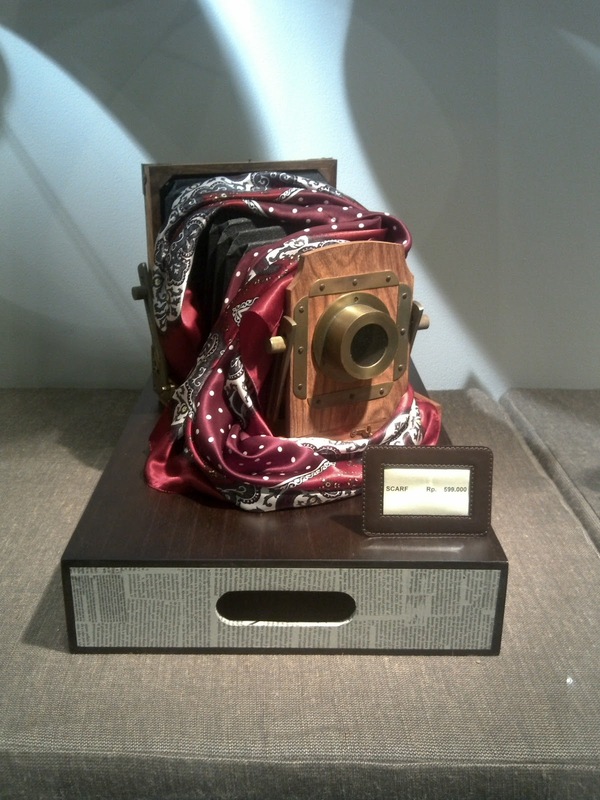 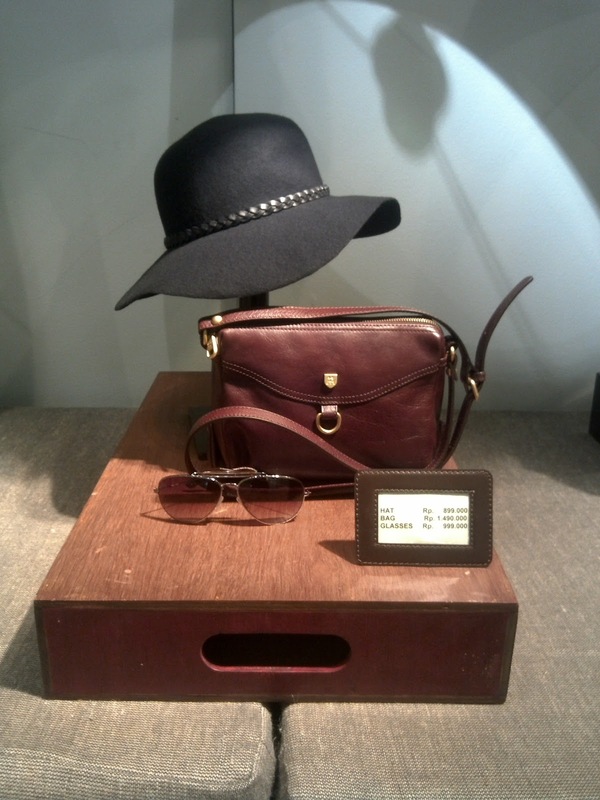 Behind her, there is an old vintage early-days camera that is also used to display the scarf collection in other section of the window. 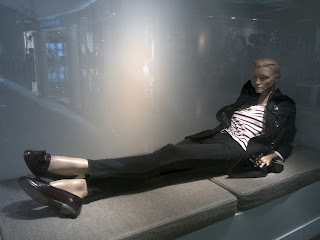 Another lady mannequin is laying so relax, she looks like a sailor or perhaps also adventurer.